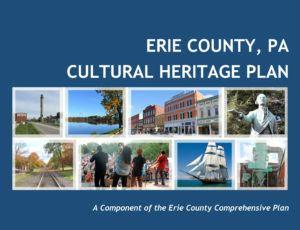 Preservation Erie and the Erie County Department of Planning worked collaboratively to create the Erie County Cultural Heritage Plan, which was funded in part by the Pennsylvania Historical and Museum Commission and the Erie Community Foundation, is expected to have real and lasting impacts on every community within Erie County. Its content will help community leaders, residents and organizations set priorities, coordinate efforts, increase capacities and identify ways that preservation practices can be bolstered for economic growth, environmental sustainability, and an improved quality of life. The document was adopted by Erie County Council August 2017, and may be downloaded as a PDF from the county’s website. In 2014, Preservation Erie and the consulting firm Wise Preservation Planning completed a county-wide inventory of 31,000+ historic resources. The project was generously supported by the Erie County Gaming Revenue Authority, Erie Community Foundation, the Perry 200 Commission, and individuals. Once complete, the inventory provides baseline information to be used in the development of historic preservation plans that can be accepted, adopted and implemented by governments throughout the county. It enables communities, property owners, organizations, and agencies to better appreciate the cultural and economic value of historic buildings and sites in their communities and assist civic leaders in planning for their protection and integration into economic revitalization strategies. Read more. The Lawrence Park Historical Society, in partnership with Preservation Erie and with funding provided by the Pennsylvania Historical and Museum Commission (PHMC) and Erie County Gaming Revenue Authority, contracted with the historic preservation consulting firm Naylor Wellman, LLC to create a National Register Historic District for Lawrence Park. To learn more, visit here. In June 2008, in collaboration with the School District of the City of Erie and Preservation Pennsylvania, Preservation Erie co-sponsored a day-long design charrette centered on the rehabilitation of Roosevelt Middle School. Architects worked alongside Preservation Erie board members, school board members, and Erie citizens to generate three possible designs for the rehabilitation of Roosevelt. The designs and the complete charrette report may be viewed here. In 2015, Erie’s Public Schools unveiled an Optimization Plan or Master Plan. The plan has the potential to impact historic school buildings such as Roosevelt. Preservation Erie encourages the district to allocate or identify funding for structural evaluation, neighborhood studies, reuse planning and marketing of all schools fated for closure and possible resale. The decisions about how Erie’s schools are managed are key to the region’s potential for revitalization and will impact students, neighborhoods, the City and the economy for generations. To stay up-to-date on the District’s work, visit a blog they’ve created to keep the public informed. 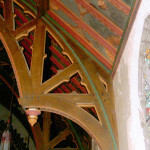 With the help of Preservation Erie, Preservation Pennsylvania and Civitas, the Save the Villa Chapel committee (SVC) raised over $20,000 to make temporary roof repairs, put up a website, create an animation and to help complete the 2011 study outlining three adaptive reuse options for the chapel published in the Villa Chapel Re-Use Report. Wayne School’s Shapes and Stories of the City was a study of East Avenue and its surrounding neighborhoods that explored the importance of place. 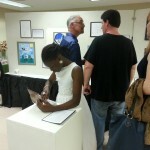 The study, which was led by local artist Tom Ferraro and was in partnership with Preservation Erie and language artist Lora Zill, culminated in a student exhibition during National Historic Preservation Month, May 2013. Read more. 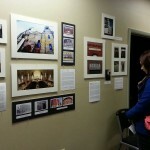 Completed by Mercyhurst University public history students as a semester-long hands-on learning initiative, Erie Places, Erie Stories is a photographic and oral history exhibition showcasing Erie’s historic structures. Funded by a grant from Erie Arts & Culture, Erie Places, Erie Stories is now online.